I love eBooks for the simple reason I have over 800 books, and I don’t have to dust them. I do buy paper books, but only those on writing craft or research for my work. I have managed to get nearly every book I ever loved as an eBook. Every week I add at least two more books to my library. 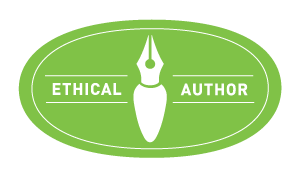 I have become a fan of hundreds of new authors, most of them indies. Every now and then I read a book that is traditionally published, sometimes taking a dip into general fiction. I did that this week, reading a book I saw advertised on twitter. I picked it up, knowing I might hate it because the critics loved it. I can live without a happy ending, and even with no ending at all. Not every story ends happily. But please, make the pages that come before that lack of ending something more than self-indulgent hero worship of your protagonist. I get that you’re in love with your characters. I’m in love with mine too. Just don’t wax poetic about their magnetic beauty on every third page, please. Meh. Enough about their eyes already. Some authors go to incredible (and at times, awkward) lengths to force their personal creative vision of what a character looks like on the reader. I don’t know about you, but I don’t want to be told what to think when I am reading a book. What I consider beautiful is not necessarily attractive to someone else. But this brings us to a dilemma that many authors seem to face. How do you describe a character in such a way that the reader will find them as attractive as you want them to be? You must give the reader enough of a general description that they can fill in the blanks with their imagination. Generally, you want to show a character’s coloring, hair style/color, eye color, general physical description. Especially, you must somehow mention anything that is unique about their appearance. If they are not too fastidious, mention it, and the same goes for if they are obsessively fastidious. Actions can reveal physical characteristics and mannerisms. Consider how they fix their hair, what style of clothes they gravitate to, even how they move and interact with both the environment and other characters. What are their habitual facial expressions? Offer this information up in bits over a period of time rather than dumping it in a police-blotter style of delivery. Just don’t go on and on giving minute, unimportant details. In my Tower of Bones series, the men in Edwin’s family have this sort of cachet that makes them irresistible to all women. It is the Goddess Aeos’s way of ensuring that the girl she has selected for them falls in love with them, and their bloodline is continued. But what do Edwin and his father (and grandfather) look like? Edwin and his family are a lot like my uncles were as young men, tall, blondish, blue-eyed, and physically strong from working on their farm. They’re rather average, nothing spectacular. They’re good-looking, but aren’t overly handsome. However, there is something about them that causes trouble in a certain strata of female society that has a rather free approach to life. Here is where I romanticize them. To most men, they seem no more intriguing than any other person, but to women, they are an irresistible banquet of masculine pheromones. Since they do a lot of traveling, this creates opportunities for mayhem. While writing the Tower of Bones series, I’ve had a lot of fun with that plot-line, especially when it came to Wynn Farmer in Mountains of the Moon. For my other characters in various books, again we write what we know. In my mind, all my characters are exceedingly good-looking in their own different ways. I am of British Isles stock as is most of my family, but I live in a town filled with people of all races and origins. Throughout my life, my neighbors have been from such diverse places as Japan, Mexico, Alabama, Norway, Cambodia, Nigeria, India, and Minneapolis. Thus, in my head, my characters are of all races, and all are attractive to me. Huw the Bard is darkly handsome, blue-eyed with black curling hair, and has a roguish charm that women find irresistible. An incurable romantic and on the run, he loves many, but gives his heart only to a few. 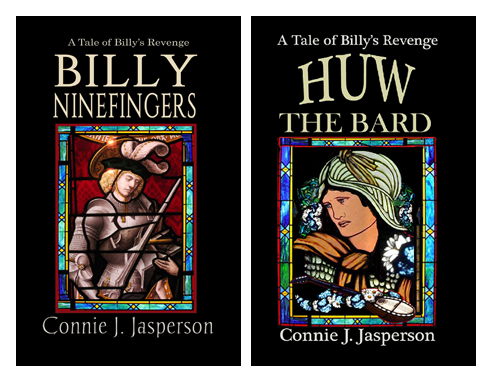 Billy Ninefingers is exceptionally tall and strong, sandy-haired, with a boyish face. He’s competent and a strong leader with a firm sense of justice. He is in love with only one woman, but there are complications. Reina Jacobs is a middle-aged woman, a retired pilot who has been conscripted back into active duty. She has short iron-grey hair and is a cyborg. She is attracted to Ladeaux, a pilot of her age, but while they are working together, she won’t fall into a romance. Personally, I don’t find Prosperine as painted by Dante Gabriel Rossetti to my taste, although as a painting it is flawlessly executed. But millions of people find her beautiful, and he certainly did. His model, Jane Morris, was considered a great beauty in her day. Yet the images of her, both painted and photographed, portray her as sulky-looking, which is not attractive to me at all. I choose not to beat the reader over the head with my personal vision, other than the general description for the reader to hang their imagination on. I want the reader to see beauty and magnetism in the way that is most appealing to them. I hope that mannerisms, conversations, and other characters’ opinions convey the image the reader wants to see in a protagonist. And this is the way it is for every author. We are painters who use words to show an image. We want to the reader to see what they believe is beauty. Your vision of beauty is not what your readers see, and to force too many details on them ruins the flow of the tale. A good general description, with hints or comments about their beauty or lack thereof, is all that is needed. If you provide the framework, the reader’s mind will supply the rest. I prefer a minimal physical description of my characters as well. Let the reader fill in the blanks with their imagination. Thank you ♥ for reblogging this post! Thank you for the reblog, and your kind comment! In my WIP I’ve given a little more description than usual to my male lead simply because he has to disguise his appearance from another character so the reader gets a before and after description, but I only give enough details to highlight the difference. That’s a good idea. It sounds like it works well!